I am trying to be more pro-active about making cards this year... at least for as long as that lasts. I did not craft nearly enough last year. 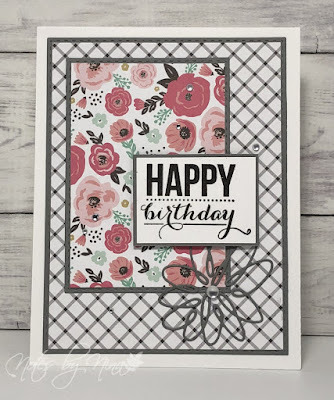 I have a few paper pads I have not dabbled with yet so I pull this cute one out to make an easy card. I used stitched die cuts for the frame and used simple layers. I stamped the sentiment and popped it up with foam tape, added the flower then sprinkled some gems about. Ha, that last part is a fable, the gems have a sticky back and I had them sticking everywhere and in none of the places, I actually wanted. 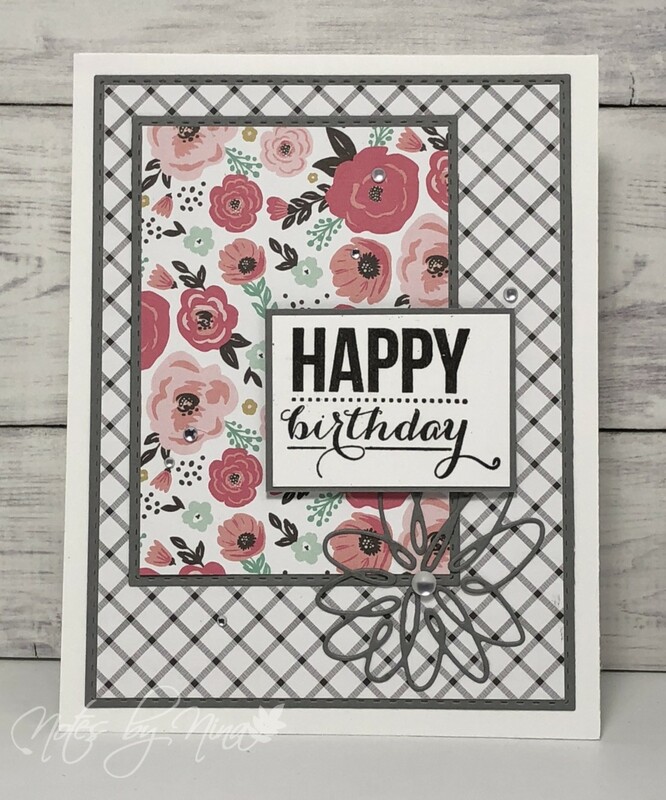 Supplies: White and gray cardstock, Designer Paper-Echo Park, Penny Black - Sprinkles and Smiles, SSS - Spiral flower, gems.